A really nice little game, I liked the minimalist approach. Hey, the screenshots look really neat! I like the retro ZX Spectrum style. Could you tell me what engine was this made in? A fun little game. Liked the minimalism of it. 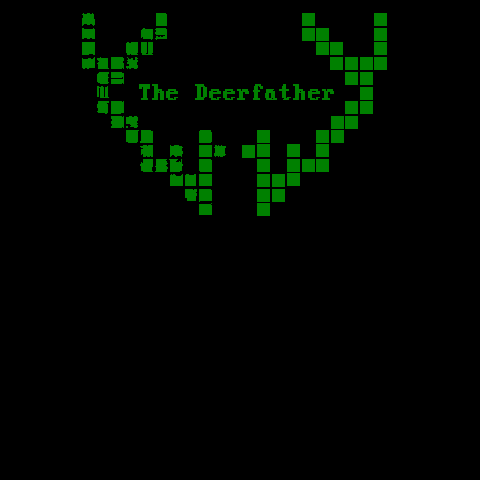 The Deerfather is a short top-down action-adventure game. Take up the role of a stone age hunter, hunt cave deer and explore the dark depths. Throw spears, find ancient cave paintings, and uncover the dark secrets of human ancestry. Maybe even save the world, who knows. 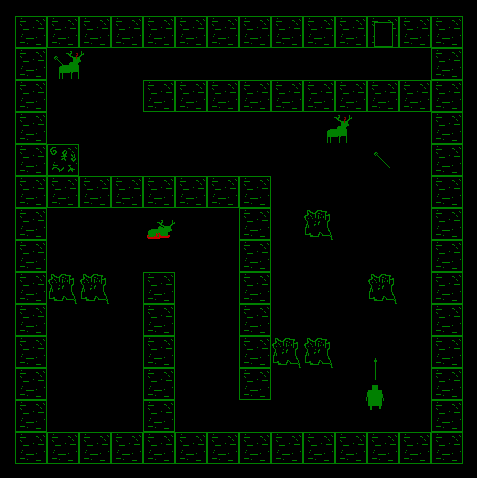 This is a short game, made in a few evenings. Should take about 10-15 minutes to beat. 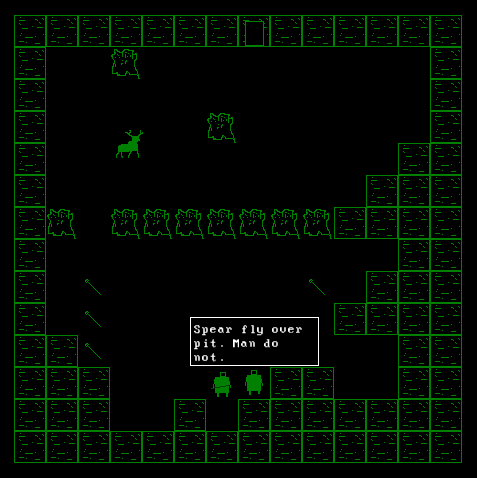 Graphics inspired by old DOS games, emphasis on old.